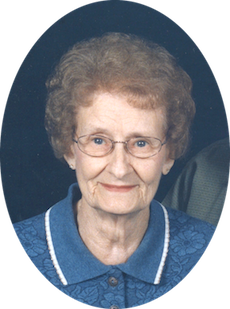 Wanda Faye Johnson, 91, a resident of McLeansboro, Illinois, passed away Tuesday, October 30, 2018 at the Hamilton Memorial Rehabilitation and Health Care Center. She was born December 27, 1926 in Kellyville, Oklahoma to Cloyd and Bessie (Osborn) Powell. Wanda married Harold Dean Johnson on December 27, 1946 and he preceded her in death. In life she was a home maker and worked as an Avon Representative for 44 years. Wanda is survived by two daughters, Sandy Milligan of Harrisburg, IL and Linda (Tom) Prince of McLeansboro, IL; two grandsons, Shannon Dean Hankins & fiancé Susan Schwartz and Jeremy Devoy; three great grandchildren, Alyssa (Colton) Baldwin, Jonathan (Jacie) Devoy and Justin Dean Devoy; and one great-great grandson, Kayson Baldwin. Funeral services will be held Friday, November 2, 2018 at 2:00 p.m. at the Gholson Funeral Home in McLeansboro with the Rev. Marty Lamp officiating. Visitation will be Friday, November 2 from 11:00 a.m. until the time of service at 2 p.m. at the Gholson Funeral Home in McLeansboro. She will be laid to rest at the IOOF Cemetery in McLeansboro. Memorial donations may be made to the Hamilton County Rehabilitation and Health Care Center and will be accepted at the Gholson Funeral Home in McLeansboro.